To make a Pediatric Cancer Care appointment, to schedule testing or treatments, or to reach a cancer care team member, call 317-338-4673 (HOPE). During after clinic hours and on weekends, this phone number is transferred to one of the on-call pediatric oncologists. 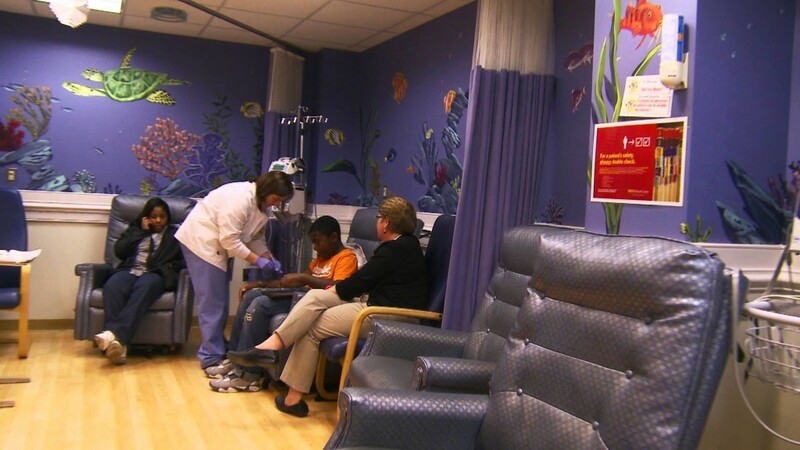 Our board certified Pediatric Hematologists/Oncologists care for children and young people (infancy to up to age 25). Led by Bassem Razzouk, MD, this team has extensive expertise diagnosing and treating acute or relapsing pediatric leukemia, AML and lymphoma, as well as many types of pediatric benign blood diseases (including anemia and ITP). These hematologists are also on the frontline of advanced care as pediatric cancer researchers1. That means our patients have access to the latest cancer treatment protocols and clinical trials. The pediatric oncologists use the most advanced chemotherapy protocols, sometimes in combination with other cancer-fighting medicines. Our inpatient unit has private rooms with centralized oncology nursing support. The procedure room within the Outpatient Clinic is for procedures that may require anesthesia. To soothe our young patients, the Child Life specialists and oncology nurses are very good at playful distraction and reducing anxiety. Overall, our cancer care associates have a very strong “Caring Spirit” and through our holistic approach, will utilize the most advanced techniques to heal body, mind and spirit. The St.Vincent Pediatric Oncology treatment clinic is decorated with many colorful scenes and is set-up for interactive media and includes free WiFi access.